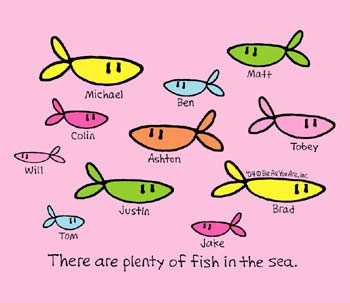 There might be plenty of fish in the sea. But you still need the gear, need to prepare the bait & tackle, spend hours on the water throwing the line in. Then sometimes you don’t even make a single catch! It’s definitely not as easy as it sounds. I have tried lots of different forms of fishing.. Blind dates, Internet dating, holiday romances… I’m yet to try speed dating. Maybe I should give that a whirl & see what happens. Posted in: Finding the one!